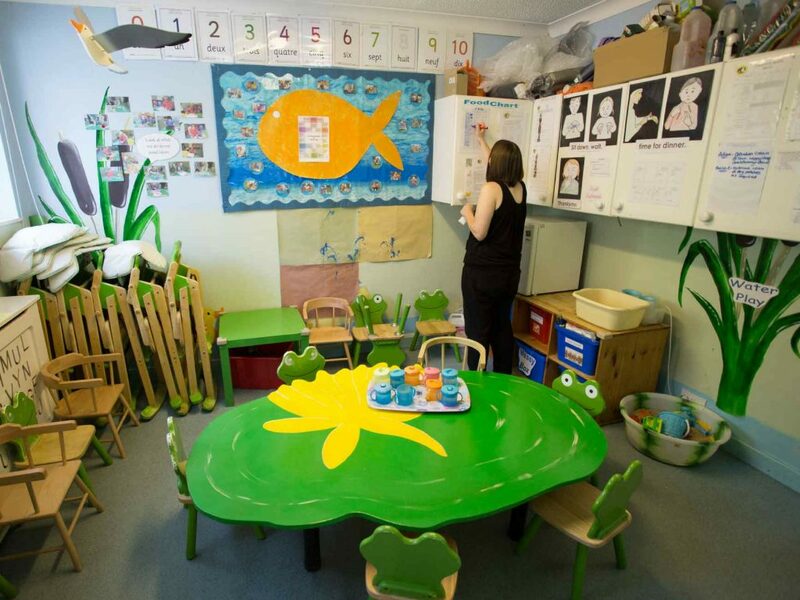 Welcome to our NCN Alveston nusery! 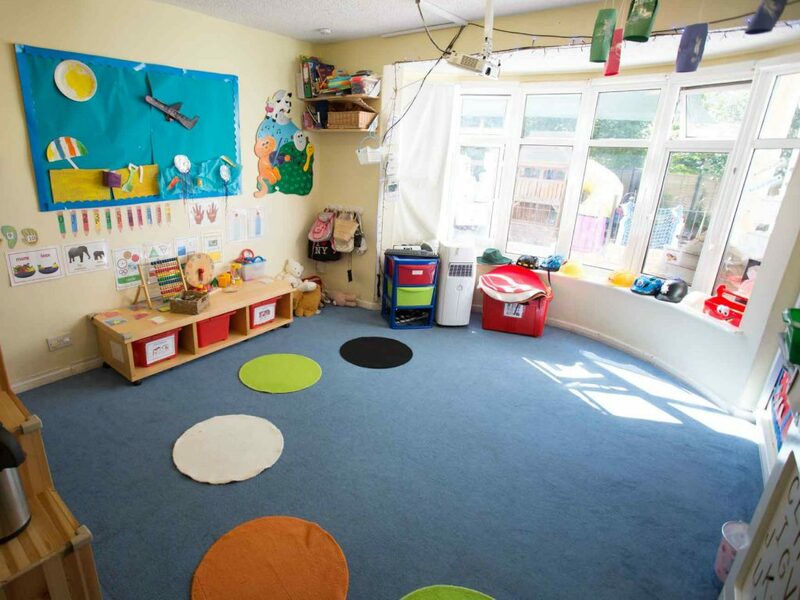 The nursery is situated in the village of Alveston, just seconds from the A38, near Thornbury. 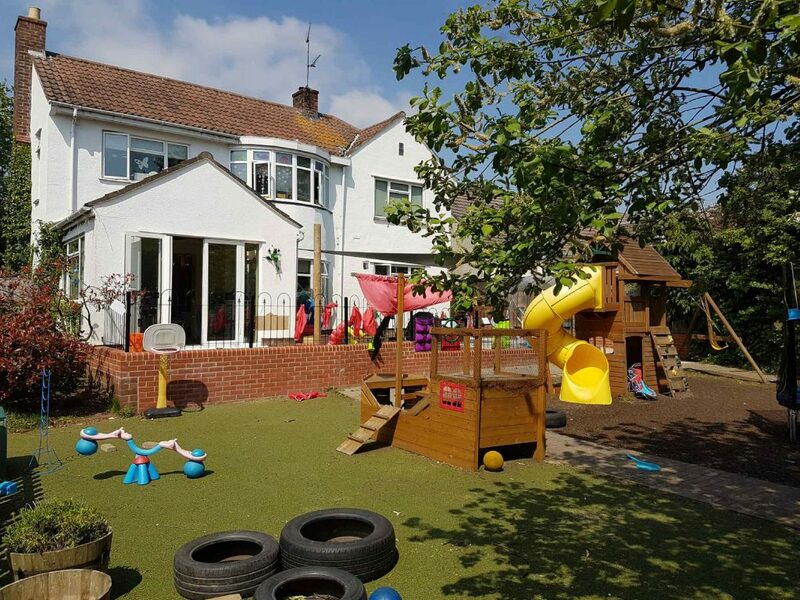 The property is on a corner plot and has a drive on drive off facility for parents. It is very secure and setback from the road. 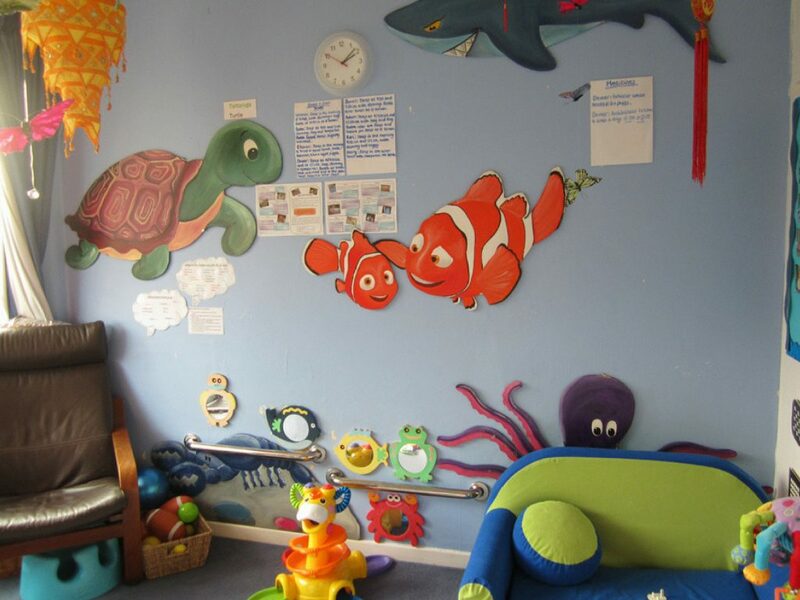 The nursery has the baby unit upstairs accommodating 12 under 2’s and ample space downstairs for the thirty-two 2-5 year-old pre-schoolers. Upstairs there are two separated play rooms for the babies and the toddlers. There is also a creative/dining room and a separate quiet sleeping room. 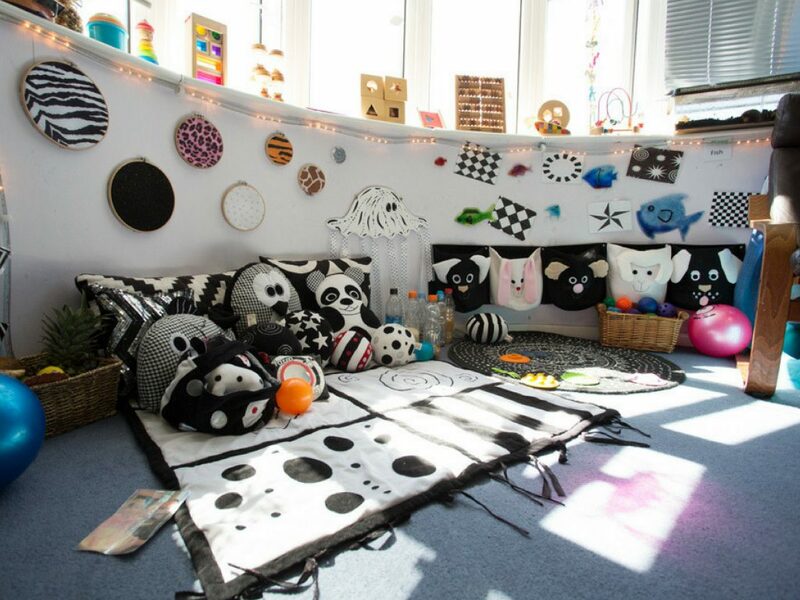 The rooms are all based around themes which are intended to stimulate and interest the children. 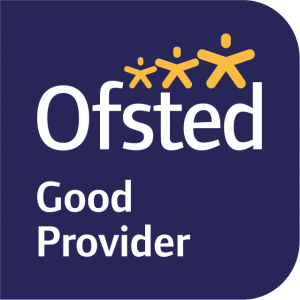 Downstairs are three substantial rooms which the children free-flow in throughout the day. 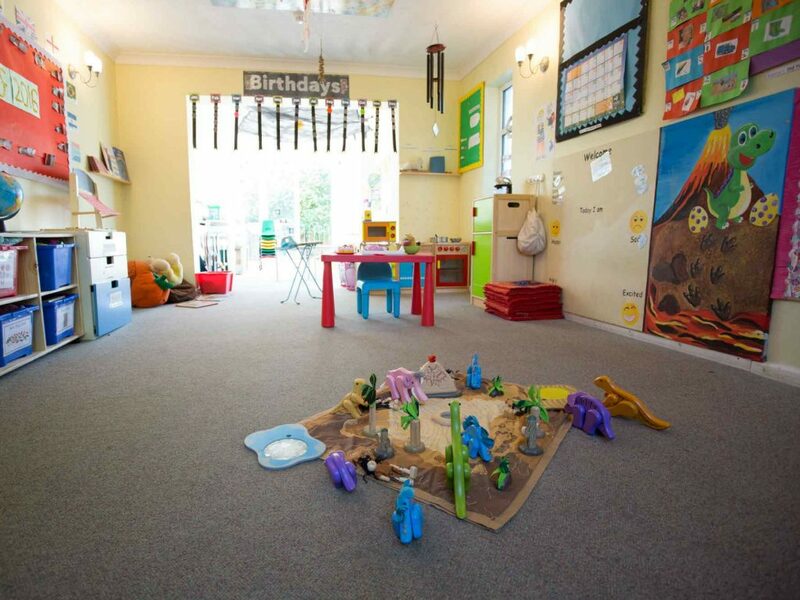 We offer a free-play room that has a range of different toys and activities that are age appropriate, our imagination room where the children are offered a large role play area, dressing up clothes and enough room to allow their imaginations to roam. Our final play room downstairs is our creative / dining room. 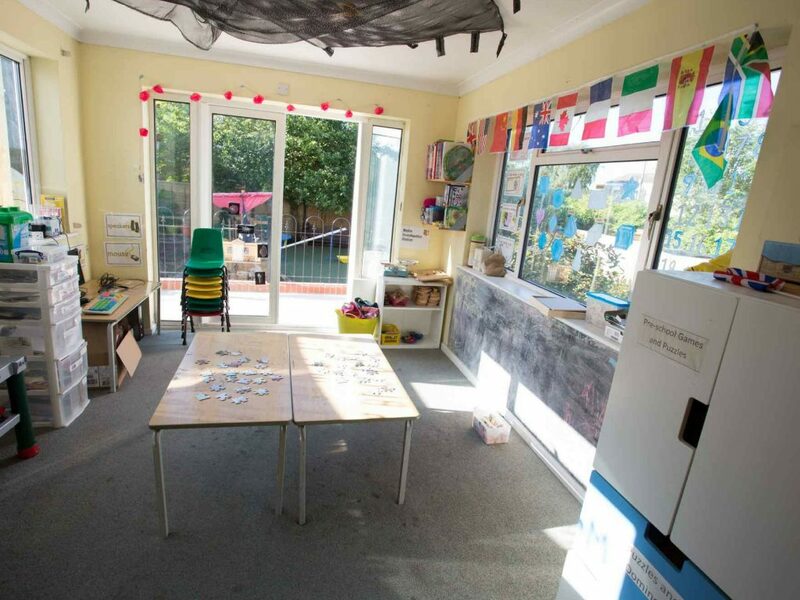 The children use this room to get as creative as they like. We offer a range of adult led and child led activities and the children can be found doing anything from getting messy with gloop to making papier mache solar systems. 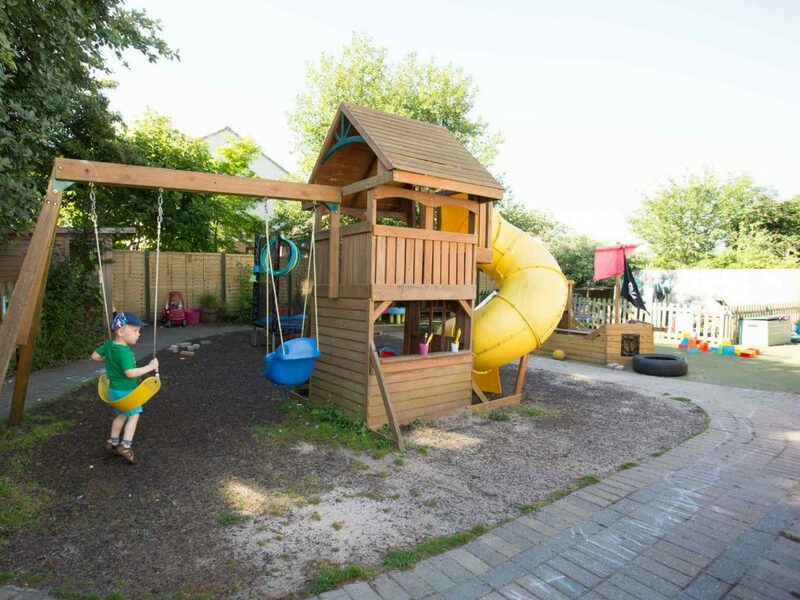 Outside, the Nursery has a large garden with separate play areas for the age groups. 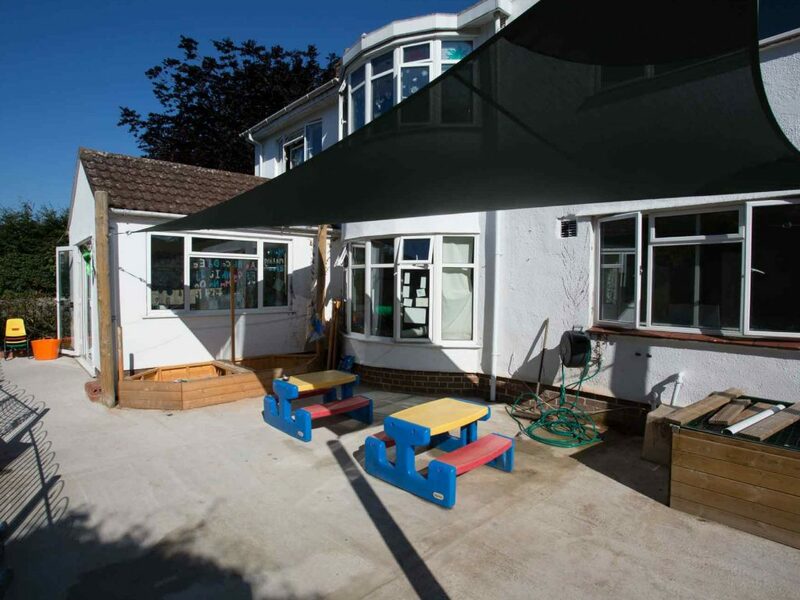 Our children love the newly installed patio area, it allows them to do all types of creative and messy activities outside. 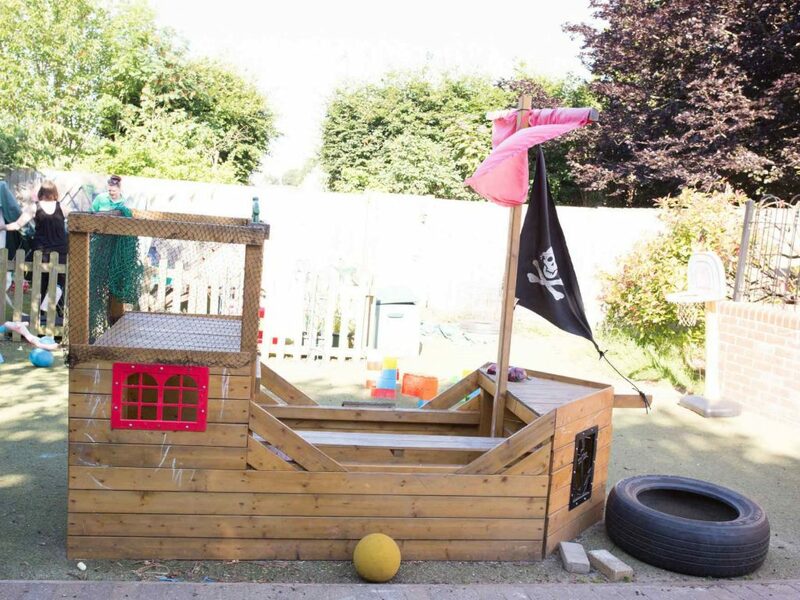 The purpose built wooden pirate ship sand pit and wooden play pirate ship are among some of the favourite parts of the garden, along with the slide and swing. 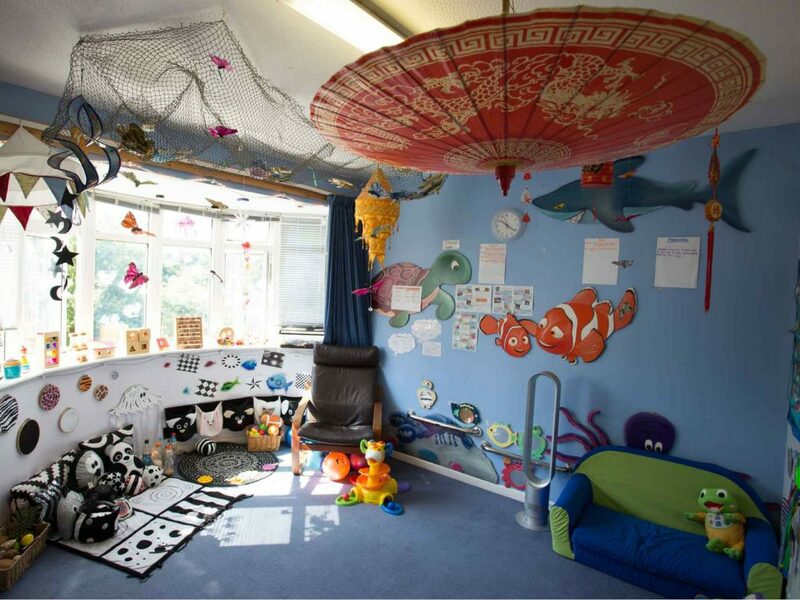 We also offer a sensory house at the bottom of the garden. 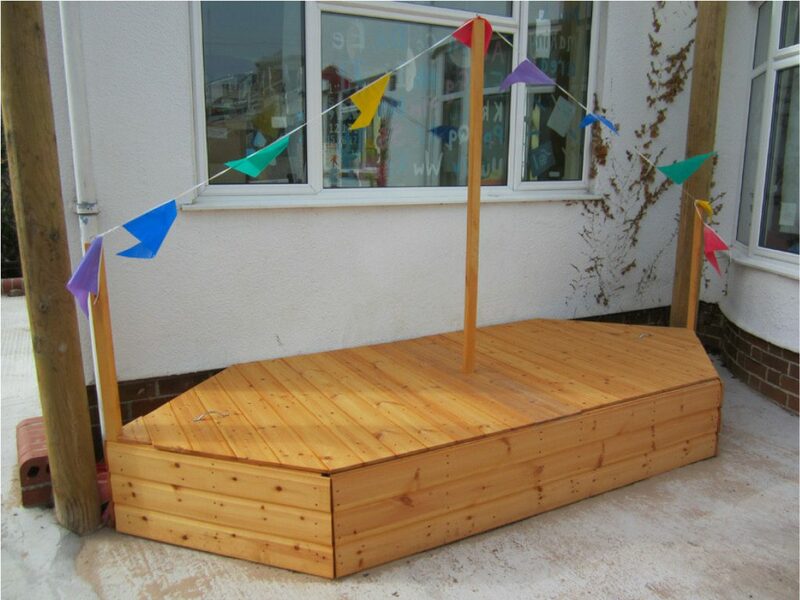 This allows children to have some quiet time where they can be interactive with the different lights and sounds we have on offer or to enjoy a book in a quieter part of the garden. Our 0-2’s enjoy their own area and love all of the sensory and fun activities the staff put on for them every day when they go outside.